Nestled at the foot of the Blue Mountains in the magnificent and historic Mulgoa Valley, Glenmore Heritage Valley offers one of Sydney’s few 27 hole golf courses. 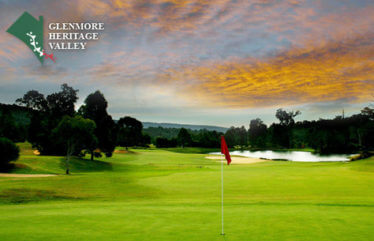 Glenmore Heritage Valley offers two courses for guests to chose from; a challenging 18 holes on the LINKS course or 18 holes on the picturesque VALLEY course. Glenmore Heritage Valley is located only a few minutes down the road from the Quality Inn Penrith. Penrith Whitewater is located only 15 minutes from the Quality Inn Penrith at the foot of the world famous Blue Mountains. Purpose built for the canoe/kayak events during the Sydney 2000 Olympic Games; it’s the only man-made whitewater river of its kind in the Southern Hemisphere. 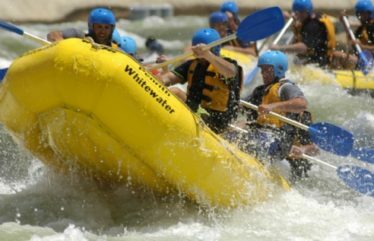 The channel has been designed to recreate the characteristics of a wild river and provides the watercourse for whitewater rafting and kayaking.